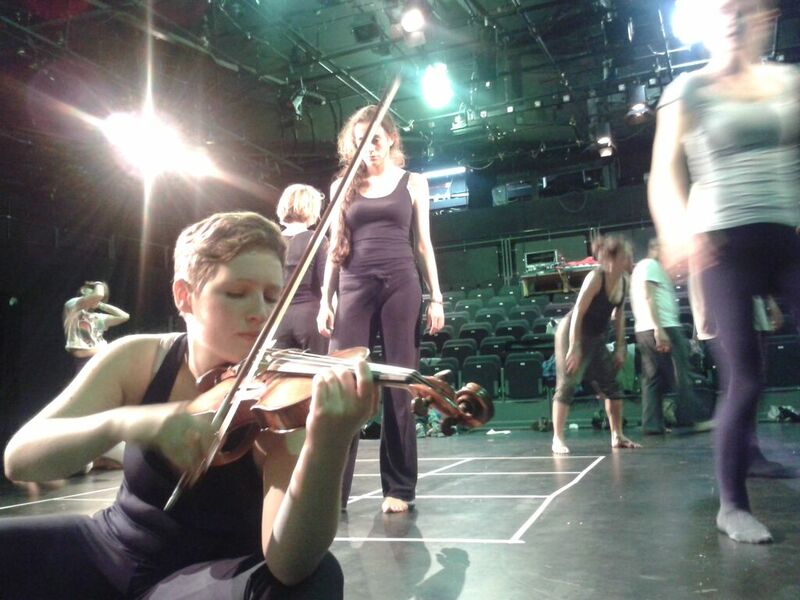 For one week in April, I participated in MadLab (Music & Drama) week. 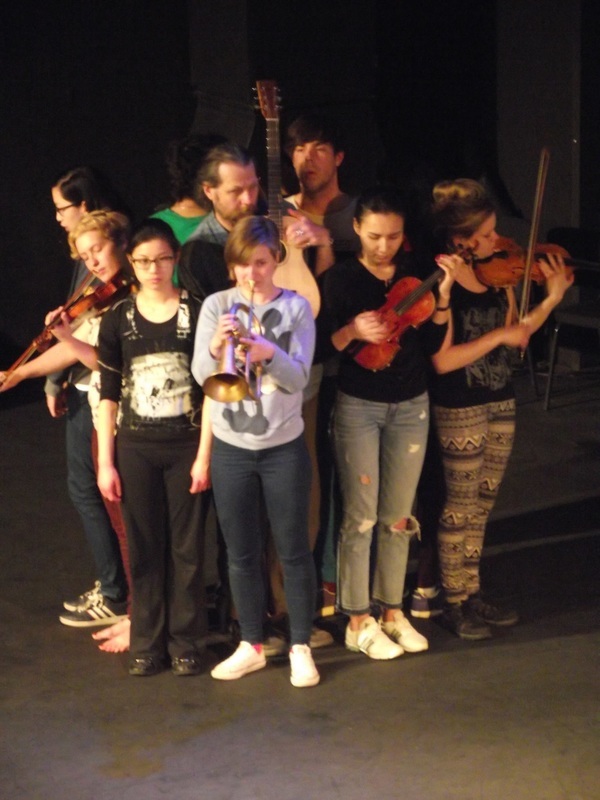 Lucy Bailey, a theatre director and classically trained musician, worked with us exploring the sheer theatrical presence and energy of the musician in relationship to the audience, engaging the whole of the body and the personality of the performer. In contrast to the previous MadLab project there were no actors involved. This created a nice opportunity for us as musicians to really focus on our body and theatrical presence. We worked in small groups exploring movement and story telling through theatre exercises. At the end of the week we shared a variety of scenes and ideas with a small audience. In this MaDLAB, we explored the boundaries between movement and sound facilitated by Guy Dartnell and James Blakey. The first days we went on an exploration of pure and natural sounds that would 'kick us out of an orchestra'. Only after a day or so of physical and vocal work were we directed to bring our instruments into the mix. It was interesting to see how safe we all felt in the group after these first two days of exploration. I never felt so connected with my instrument and it opened my ears to listen in a different way to the sounds I created. It was an inspiring week as both Guy and James gave us useful tools to start a creative process to create new work.